On 1st October 2017, Hisense is the first Chinese brand ever to be the official partner of UEFA Euro Cup 2016 and official sponsor for the UEFA European Championship. Not only that, Hisense has 17 overseas branches, 3 overseas production bases, and 7 overseas R&D centres. Hisense, a global technology leader from China, aims to reimagine the future, realising your dreams. Right now, Hisense has become one of the world's top three ultra-high- definition TV brands. 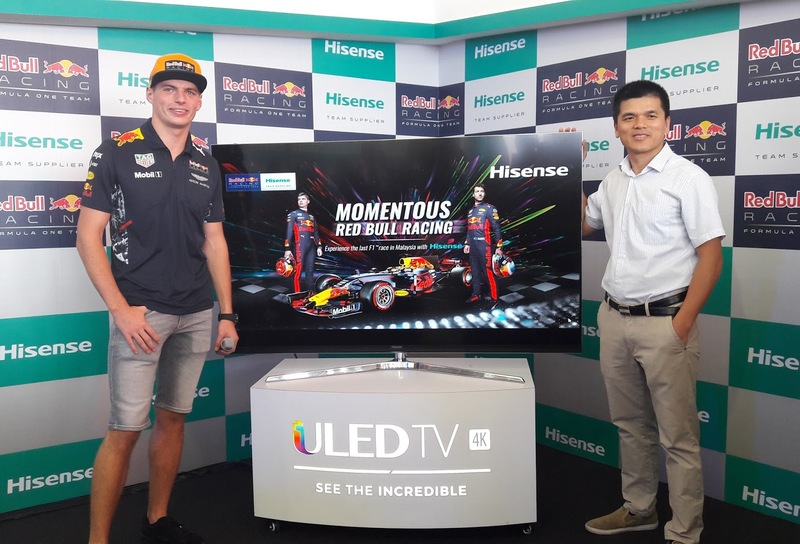 Hisense and Global Team Supplier to Red Bull Racing is bringing world-class high definition excitement to the Malaysia Grand Prix F1NALE at Sepang International Circuit that weekend, with a showcase of its latest Hisense 4K ULED TV 65” Series 8 for F1 fans at the Hisense booth. Andy Huang Yuan Xin, Managing Director of Hisense Malaysia delighted that Max Verstappen, Red Bull Racing join them that afternoon to celebrate the magic of F1 with all the guests. The patented ULED TV technology takes the core LCD TV technology even further, with all 8.3 million pixels on a ULED TV bringing viewers the best colour, contrast, resolution and motion. Moreover, there will be appearances by Hisense mascot Harley at the special photo booth area, free merchandise, plus free flow of popcorn to round up the experience, all happening at the Hisense tent at Sepang International Circuit starting 29th September to 1st October 2017.